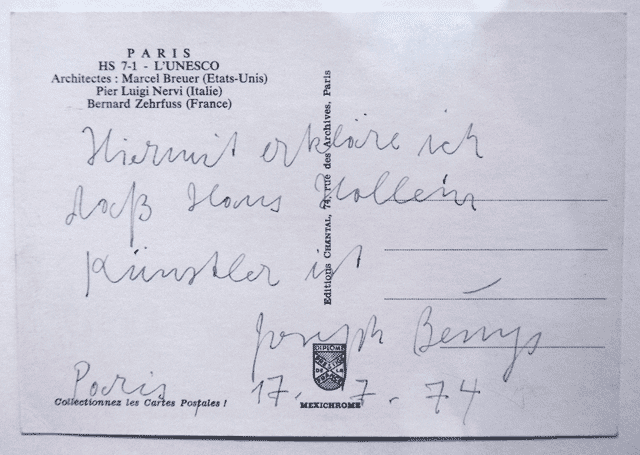 "Hereby I confirm that Hans Hollein is an artist" - Joseph Beuys. (postcard seen at the Hans Hollein exhibition, at the Neue Galerie Graz, Joanneumsviertel). Hollein is the only Austrian architect who won the Pritzer prize (in 1985). He is known for the quote: "Alles ist Architektur!" (Everything is architecture!). "With his (Hollein) request, 'architects have to stop thinking in terms of buildings only' (1966), the universal artist Hollein has transposed the maschine-based architecture and art of modernity into the era of media-based communication and information technologie (Peter Weibel, curator). In 2012 it might be useful, to re-think that.